Second in the futuristic fantasy series that will have you keeping the lights on-from the New York Times bestselling author of City of Light. The humanoid supersoldiers known as the dechet were almost eradicated by the war. Ever since, Tiger has tried to live her life in peace in hiding. But in the wake of her discovery that Central City's children are being kidnapped and experimented on, Tiger's conscience won't let her look the other way. The key to saving them lies within the walls of a pharmaceutical company called Winter Halo. 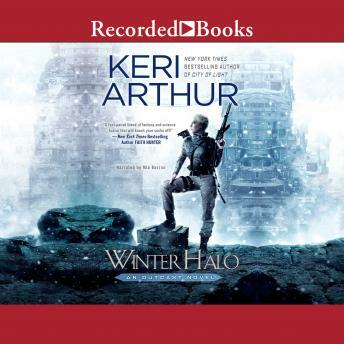 But as she learns more about the facility, Tiger's mission is derailed by a complication: Winter Halo's female security guards are being systematically attacked by an unknown force. Now Tiger must summon all her gifts to stop those responsible for both atrocities-no matter the cost to herself.